The quest for Zero Harm using high-reliability methods and tools (i.e., Lean Six Sigma, control charts, Pareto charts, histograms, etc.) is gaining momentum. 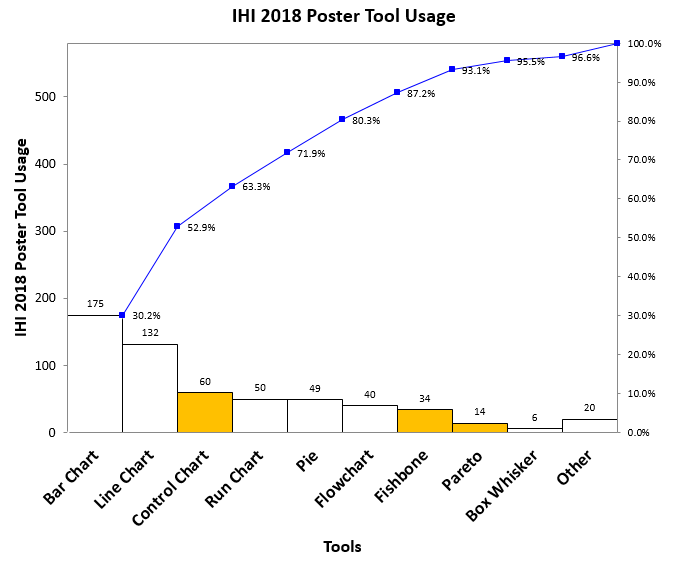 More people asked about spreading these tools throughout their hospital to monitor performance, because you simply cannot achieve or sustain Zero Harm without them. This entry was posted by Jay Arthur in Improvement Insights, QI Macros, Six Sigma and tagged IHI, QI Macros, Quality Tool. Bookmark the permalink. Follow comments with the RSS feed for this post.